Jane has the Personalized Throw Pillow Cover marked down to $11.99 with free shipping! DESCRIPTION: Celebrate your tribe in style! 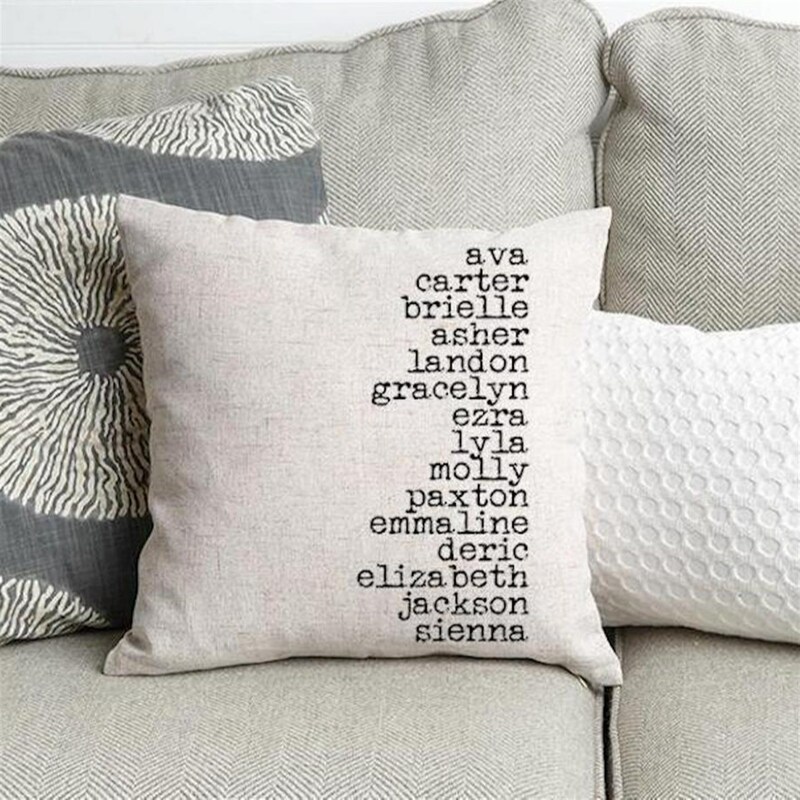 Moms love showing off their children, so make it easy for her with a personalized pillow cover showcasing her kids names. Covers are expertly printed on high quality, washable fabric and feature a zipper opening on the reverse for a finished appearance and to allow easy insertion and removal of a pillow insert (not included). These pillow covers look right at home anywhere, whether its on a sofa, chair, or bed. Each one is a generous 18 x 18 and will add a touch of charm to any room. Add the names and well create any moms favorite gift! These pillow covers are also perfect for grandmothers, too.Note: Font size will vary depending on the number of names.